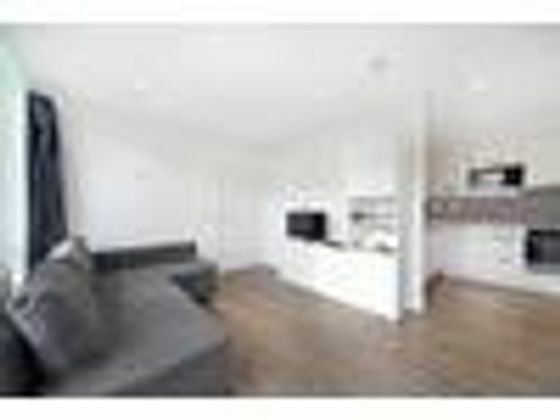 Sought after contemporary One Double Bedroom apartment situated on the Third Floor. This Spacious New Build apartment has high specifications throughout and generous living and storage space. The property is very well maintained and comprises on the Third Floor; reception room, one double bedroom, contemporary fitted kitchen with integrated appliances, one bathroom suite, utility cupboard and Private Balcony Terrace. Further, it has hardwood flooring, lifts, Communal Gardens and Off Street Parking. Edgware Green is situated in close proximity to Stanmore Village and Edgware High Street with its numerous boutiques, coffee bars, restaurants and retail outlets. Transport links are found at Stanmore Station [Jubilee] and Edgware [Northern] respectively, with access to central London and the City. Accessible also to the A1, M1 and M25. Property advert Ref 4275197 - Is a property advert for marketing purposes only, the information has been supplied by the owner, estate agent or property portal and The House Shop makes no warranty as to the accuracy or completeness of the information. Furthermore we have no control over the adverts content. This property advertisement does not constitute property particulars. Please contact the advertiser to obtain any information regarding The Energy Performance Certificate regarding homes in England and Wales or Home Report for residential property in Scotland.